The plight of Hakeem al-Araibi – the 25-year-old refugee footballer who was arrested last November in Bangkok upon his arrival from Australia on the basis of a red notice issued by Interpol in contravention of its own policies which afford protection to refugees and asylum-seekers – continued throughout the month of January. Bahrain – the country Hakeem al-Araibi fled in 2014 due to a (well-founded) fear of persecution stemming from his previous experience when he was imprisoned and tortured as part of the crackdown on pro-democracy athletes who had protested against the royal family during the Arab spring – maintained a firm stance, demanding that Hakeem be extradited to serve a prison sentence over a conviction for vandalism charges, which was allegedly based on coerced confessions and ignored evidence. While international sports governing bodies were critised from the very beginning for not using enough leverage with the governments of Bahrain and Thailand to ensure that Hakeem’s human rights are protected, they have gradually added their voice to the intense campaign for Hakeem’s release led by civil society groups. FIFA, for example, has sent a letter directly to the Prime Minister of Thailand, urging the Thai authorities ‘to take the necessary steps to ensure that Mr al-Araibi is allowed to return safely to Australia at the earliest possible moment, in accordance with the relevant international standards’. Yet many activists have found this action insufficient and called for sporting sanctions to be imposed on the national football associations of Bahrain and Thailand. When it looked like Hakeem will continue to be detained in Thailand at least until April this year, the news broke that the Thai authorities agreed to release Hakeem due to the fact that for now the Bahraini government had given up on the idea of bringing Hakeem ‘home’ – a moment that was praised as historic for the sport and human rights movement. WADA has been back in turmoil ever since the new year began as the Russian authorities failed to provide it with access to crucial doping data from the former Moscow laboratory within the required deadline which expired on 31 December 2018, insisting that the equipment WADA intended to use for the data extraction was not certified under Russian law. The Russian Anti-Doping Agency thus failed to meet one of the two conditions under which its three-year suspension was controversially lifted in September 2018. The missed deadline sparked outrage among many athletes and national anti-doping organisations, who blamed WADA for not applying enough muscle against the Russian authorities. Following the expiry of the respective deadline, it appeared that further sanctions could be imposed on the Russian Anti-Doping Agency, but such an option was on the table only until WADA finally managed to access the Moscow laboratory and retrieve the doping data on 17 January 2019. Shortly thereafter, WADA President Sir Craig Reedie hailed the progress as a major breakthrough for clean sport and members of the WADA Executive Committee agreed that no further sanctions were needed despite the missed deadline. However, doubts remain as to whether the data have not been manipulated. Before WADA delivers on its promise and builds strong cases against the athletes who doped – to be handled by international sports federations – it first needs to do its homework and verify whether the retrieved data are indeed genuine. On 16 January 2019, an employment tribunal in Manchester rendered a judgment with wider implications for athletes and sports governing bodies in the United Kingdom, ruling that the female track cyclist Jessica Varnish was neither an employee nor a worker of the national governing body British Cycling and the funding agency UK Sport. 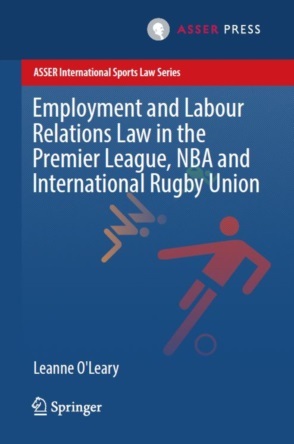 The 28-year-old multiple medal winner from the world and European championships takes part in professional sport as an independent contractor but sought to establish before the tribunal that she was in fact an employee of the two organisations. This would enable her to sue either organisation for unfair dismissal as she was dropped from the British cycling squad for the 2016 Olympic Games in Rio de Janeiro and her funding agreement was not renewed, allegedly in response to her critical remarks about some of the previous coaching decisions. The tribunal eventually dismissed her challenge, concluding that ‘she was not personally performing work provided by the respondent – rather she was personally performing a commitment to train in accordance with the individual rider agreement in the hope of achieving success at international competitions’. Despite the outcome of the dispute, Jessica Varnish has insisted that her legal challenge contributed to a positive change in the structure, policies and personnel of British Cycling and UK Sport, while both organisations have communicated they had already taken action to strengthen the duty of care and welfare provided to athletes. Tariq Panja FIFA’s boss wants to remake the game. Europe wants no part of it. James Brown Genetic Doping: WADA We Do About the Future of ‘Cheating’ in Sport? Matteo Maciel and Adam Walton Can Player Economic Value Rights Be Used as Collateral? Angela Collins Gender equality in football – how much does FIFA ‘value’ the women’s game? Toni Roca FIFA’s proposed solidarity mechanism reforms – an effective solution or a lost opportunity? Editor's note: In the coming days we will introduce the supporters of our upcoming ISLJ Annual International Sports Law Conference 2018 (also known as #ISLJConf18). To do so, we have sent them a tailored questionnaire aimed at reflecting both their activities and their expectations for the conference. It is a good opportunity for us to thank them for their enthusiastic support and commitment to international sports law research. We are very happy to finish this series of interviews with Sven Demeulemeester from Altius, a Belgian law firm based in Brussels with a very fine (and academically-minded!) sports law team. 1. 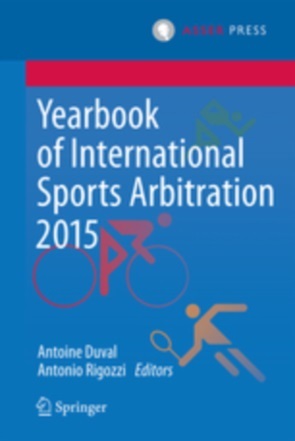 Can you explain to our readers the work of Altius in international sports law? Across different sports’ sectors, Altius’ sports law practice advises and assists some of the world’s most high-profile sports governing bodies, clubs and athletes, at both the national and the international level. The team has 6 fully-dedicated sports lawyers and adopts a multi-disciplinary approach, which guarantees a broad range of legal expertise for handling specific cases or wider issues related to the sports industry. We are proud to be independent but, in cross-border matters, are able to tap into a worldwide network. 2. How is it to be an international sports lawyer? What are the advantages and challenges of the job? Sports law goes beyond one specific field of law. The multiplicity of legal angles keeps the work interesting, even after years of practising, and ensures that a sports lawyer rarely has a dull moment. The main downside is that the sports industry is fairly conservative and sometimes ‘political’. While the law is one thing, what happens in practice is often another. Bringing about change is not always easy. The much-anticipated overhaul of the football transfer system is eagerly anticipated and is worth a thorough debate, also in terms of possible, viable alternatives. The impact of EU law - both internal market rules, competition law and fundamental rights – can hardly be underestimated. Also, dispute resolution mechanisms within the realm of sports - and an accessible, transparent, independent and impartial sports arbitration in particular - will remain a ‘hot’ topic in the sector for years to come. Furthermore, ethics and integrity issues should remain top of the agenda, as is being demonstrated by the current money-laundering and match-fixing allegations in Belgium. Finally, in a sector in which the use of data is rife, the newly-adopted GDPR’s impact remains somewhat ‘under the radar’. The ISLJ Annual International Sports Law Conference is refreshing, both in terms of its topics and participants. The academic and content-driven approach is a welcome addition to other sports law conferences in which the networking aspect often predominates. Editor's note: In the coming days we will introduce the supporters of our upcoming ISLJ Annual International Sports Law Conference 2018 (also known as #ISLJConf18). To do so, we have sent them a tailored questionnaire aimed at reflecting both their activities and their expectations for the conference. It is a good opportunity for us to thank them for their enthusiastic support and commitment to international sports law research. We are very proud to start this series of interviews with Women in Sports Law, an association launched in 2016 and which has already done so much to promote and advance the role of women in international sports law (many thanks to Despina Mavromati for kindly responding to our questions on behalf of WISLaw). 1. Can you explain to our readers what WISLaw is about? Women In Sports Law (WISLaw, www.wislaw.co) is an international association based in Lausanne that unites more than 300 women from 50 countries specializing in sports law. It is a professional network that aims at increasing the visibility of women working in the sector, through a detailed members’ directory and various small-scale talks and events held in different countries around the world. These small-scale events give the opportunity to include everyone in the discussion and enhance the members’ network. Men from the sector and numerous arbitral institutions, conference organizers and universities have come to actively support our initiative. 2. What are the challenges and opportunities for women getting involved in international sports law? Women used to be invisible in this sector. All-male panels were typical at conferences and nobody seemed to notice this flagrant lack of diversity. WISLaw created this much-needed platform to increase visibility through the members’ directory and through a series of small-scale events where all members, independent of their status or seniority, can attend and be speakers. Another difficulty is that European football (soccer) is traditionally considered to be a “male-dominated” sport, despite the fact that there are so many great female football teams around the world. The same misperception applies to sports lawyers! Last, there is a huge number of women lawyers working as in-house counsel and as sports administrators. There is a glass ceiling for many of those women, and the WISLaw annual evaluation of the participation of women in those positions attempts to target their issues and shed more light into this specific problem. The ISLJ Annual Conference has already set up a great lineup of topics combining academic and more practical discussions in the most recent issues in international sports law. The Asser International Sports Law Centre has promoted and supported WISLaw since the very beginning. The ISLJ Annual International Sports Law Conference was the first big conference to officially include a WISLaw lunch talk in its program, allowing thus the conference attendees to be part of a wider informal discussion on a specific topical issue and raise their questions with respect to WISLaw. Another important reason why WISLaw supports this conference is because the conference organizers are making sincere efforts to have increased diversity in the panels : this year’s ISLJ Annual International Sports Law Conference is probably the first sports law conference to come close to a full gender balance in its panels, with 40% of the speakers being women !